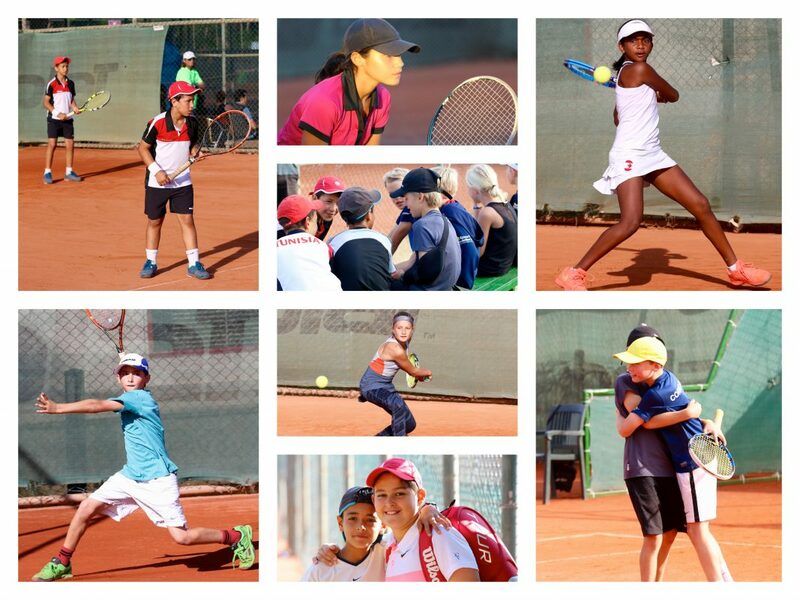 The story of today are the Tunisian group of players that join our tournaments from the Mouratoglou Tennis Hopes in May this year in France. They are not only good and fanatic players but they also are a very colorful and passionate group! Unfortunately for them they never got into a final……until today! Amine Weslati and Majdi Abdelwahed played the double final boys 2004 against Dan Vasile Duta (Romania) and Vasyl Yazadzhiev (USA). The match was a real thriller with fantastic rallies of a very high level! In contrary to the expectations Amine and Majdi won the first set with 6-3. The second set was really close and eventually they lost the set with 5-7. When the super tiebreak started (third set) the Tunisian crowd was getting crazy! Eventually Amine and Majdi won the super tiebreak with 10-5 and the public exploded! What a great match of all four players!! Tomorrow we will play the finals in the singles, categories 2004, 2005 and 2006! Sleep well to all our players!